Better a little bit late to the party than not going at all... That is how I felt about participating in the Garden Blogger's Bloom Day meme hosted by Carol at May Dreams Gardens on the 15th of every month. So here is a quick glimpse at some plants that are blooming in my garden in the moment. All photos were taken in the last two days. I am only trying to grow dahlias in my garden since last year, a fact, that I hardly can understand anymore. They are so beautiful and the flowers are holding up surprisingly well in our relentless summer heat. On top of that, they also produce very good cut flowers and who doesn't like to bring flowers from the own garden into the house and create lovely bouquets or simply enjoy a single pretty bloom or two in a vase? The one on the photo above was supposed to be the lavender colored variety 'Blue Boy', which it is clearly not, but whatever it is, I really like it. The water drops are unfortunately only from hand-watering the dahlias, we don't have any rain at all here in the summer months, but at least they make for a nice photo! One of my most floriferous dahlias is 'Bridezilla' and even though I have read that it is very difficult to grow white flowering dahlias, because the blooms are easily blemished and show brown spots, the flowers of this one are almost always pristine. My roses do bloom in the heat, but often the flowers, especially the edges of the petals are parched by the early afternoon. Here rosa 'Yolande d'Aragon' is showing off her sumptuous beauty. Her fragrance is to die for. 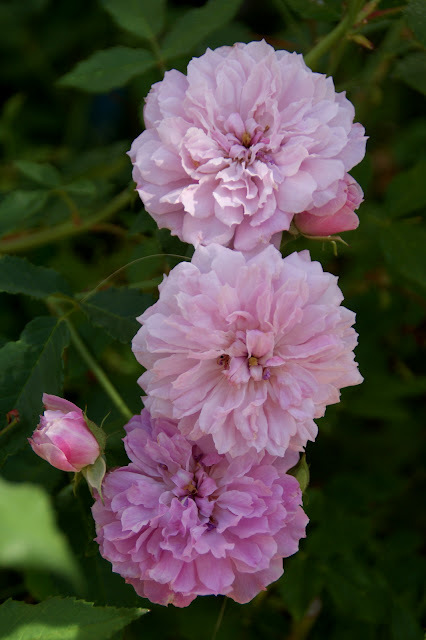 This photo captures the old fashioned bloom form of rosa 'Yolande d'Aragon' well. I am still in love with Old Garden Roses like this one. They are truly special and most of them have an intoxicating scent. 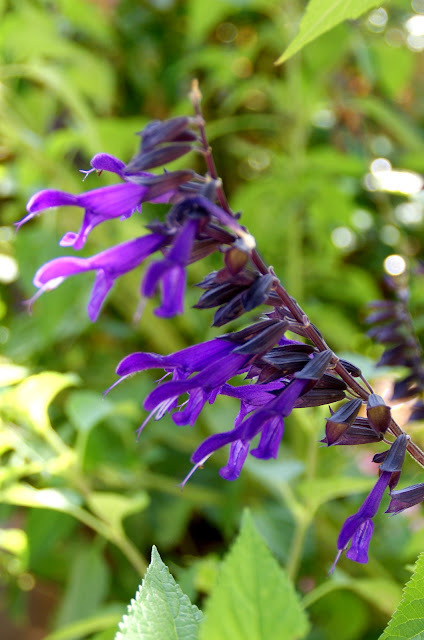 Salvia 'Amistad' is new to me this year and is a little beyond its prime, but it is for sure a garden worthy plant. 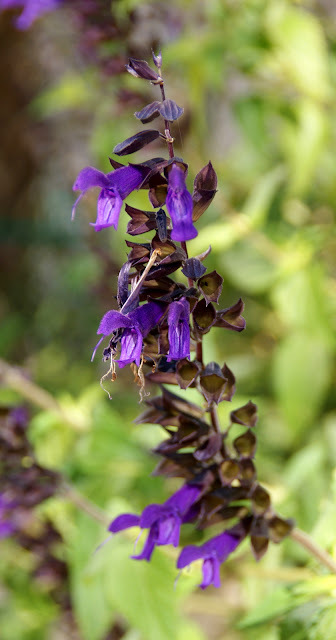 Another shot of salvia 'Amistad'. It has become humongous within only a few month in the front yard and I have to move it to another place that is more suitable for its size. This is dahlia 'Jennifer's Wedding'. It flowers in the darkest burgundy purple color that you can imagine. 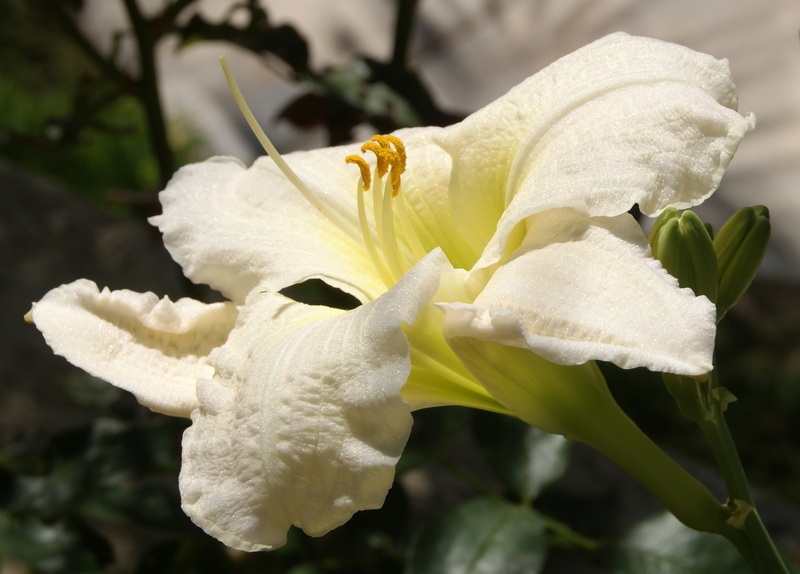 Only when it is almost spent, a small bright yellow eye opens in the center of the bloom. This photo shows part of the front yard. 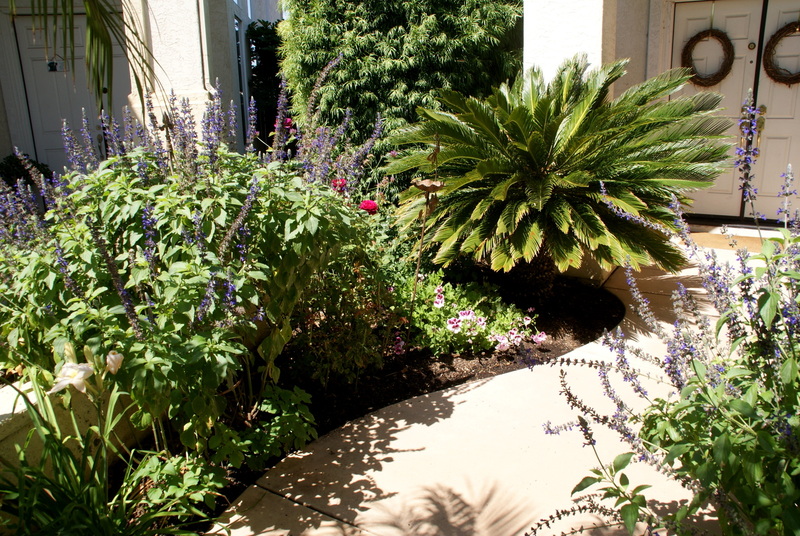 In the foreground, you see two salvias 'Mystic Spires Blue', which also have become really tall by now and I had to cut them already partly back because they were blocking the walkway to the front door. Dahlia 'Cafe au Lait' is a dinner plate dahlia and the flowers are truly spectacular in terms of the coloration and their size. It is one of my favorites! This is the last flower stalk of daylily 'Gentle Shepherd'. I wish it would rebloom like many daylilies do, but this is a once-blooming variety in my garden. Here is another shot of daylily 'Gentle Shepherd'. Rosa 'Pink Pet' is always very sweet to look at and the rose is completely healthy in my garden, but it frys very fast in the relentless heat that we are having. Dahlia 'Lucca Johanna' was the first dahlia that grew and bloomed for me last year and I am afraid it started another plant obsession. It produces nice cut flowers on an admittedly not so great looking plant. It grows a bit straggly, but because of the beauty of its blooms, that is forgiven. Rosa 'The Prince' is doing surprisingly well in this heat and wants to bloom, only to have its precious dark purple flowers burnt by the sun very quickly. But that gives me the guilt-free pleasure to cut as many blooms as I want in the morning and bring them into the house to enjoy them there. Would you have guessed that this is a dahlia as well? Nowadays they come in so many shapes, sizes, and colors that for sure there is a dahlia out there for everyone. This particular variety is called 'Platinum Blonde' and I really love the form of the blooms, but this lady is a little stingy with her flowers so far. I conclude with a photo of rosa 'Bewitched', an older classic Hybrid Tea rose. The blooms of this rose withstand the heat surprisingly well and are really good for cutting. The strong damask fragrance is amazing! Before I finish, I would like to mention again, that I am now on Instagram as well. 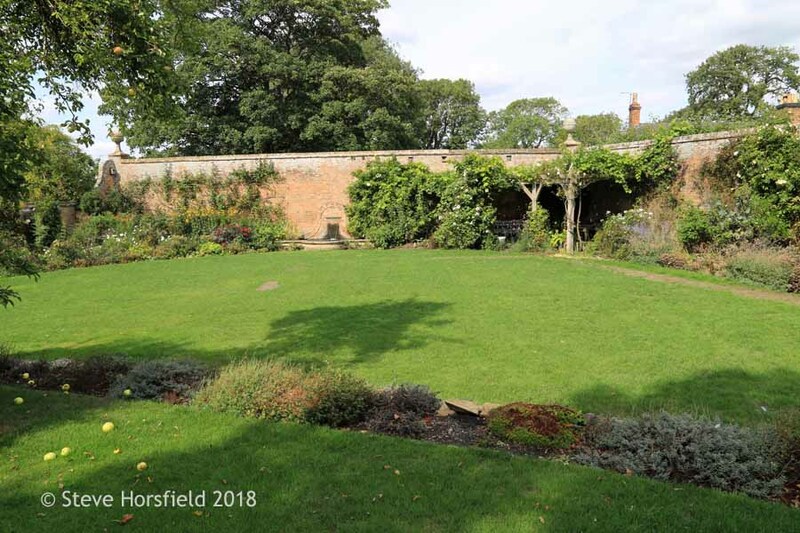 I am posting daily and if you like to see more from my garden and other private and public gardens in the US and abroad in England and Germany, please visit me there as well. You can simply click on the link or on my Instagram button on the right side of my sidebar. Thanks for stopping by, I hope you enjoyed this post! If you are in the mood to look at more flowers that have been blooming today in gardens all over the world, I would suggest that you go over to Carol at May Dreams Gardens and take a look at other garden blogger's entries. I am sure it's fun! So nice to see all the lovely roses and dahlias. Last year was a disappointment, only a few of my dahlias bloomed. I had them in pots, and they did not like it. This year I have them in a big box, and they show a lot of buds. Jennifers wedding is lovely, I like the dark colour. Cafe au lait is beautiful, I was a little disappointed when I expected it to be beige, and it was yellow. Enjoy your lovely flowers. Marika, thanks for your kind words about my roses and dahlias! I also expected dahlia 'Cafe au Lait', well, to be more of a "cafe au lait"-color, but I do love its thousand different pink/lavender tones all in one flower :-)! I noticed that the colors of my dahlias change quite a bit depending on the temperatures. Maybe I get more "cafe au lait"-color from it in the autumn when it is getting cooler. It's time for me to put in a few Dahlias again, they are so awkward to site in the garden sometimes-I get tired of them dig them out and wait a couple years til I'm feeling Dahlia-deprived again ! I love your white Bridezilla !Back in the olden days when I worked at the garden center in San Diego 'Bewitched ' was always one of our most popular roses. Aren't Dahlias fun? Great flowers. Yolande d'Aragon has the best rose fragrance ever, I think. Happy GBBD! Love all your flowers,especially the dahlias...Hugs! You've got a beautiful array of dahlias, Christina! I love 'Lucca Johanna'. After dabbling with them now and again, I also invested in a variety of tubers this year. Mine are off to a slower start than yours it appears - only 3 varieties have shown their faces thus far. I love dahlias and your are beautiful! Hi Christina, Salvia 'Amistad' surprised me with its size, too! It was a favorite last year, but it did not prove hardy here. I did not find another one to plant this year, and I miss it. The blooms are so rich! I am also impressed with your dahlias; you have a wonderful selection. I especially like 'Jennifer's Wedding.' With such colorful dahlias and your roses, your garden must be a delight to explore. Chère Christina, aucune fleur ne te résiste...Je connaissais ton talent dans la culuture des roses mais les dahlias on trouvé dans ton univers, la terre idéale pour donner ce que l'on attend d'eux. Les floraisons sont magnifiques et comme toi, j'aime ces fleurs en bouquets pour enjoliver la maison. Your dahlias and pink pet have me dreaming of a perfect garden. Need to do some homework on growing new flowers. Also thinking of raised beds that the dogs may not tinkle in...right now my beds are surrounded by ugly wire fencing. Everything is beautiful as usual. Your garden is beautiful. I was going to put in some dahlias this year, but the spring got away from me. Always next year, right? Hetty, I also still have four dahlias that haven't bloomed, yet, and some haven't even set buds. I wouldn't say that San Diego inland is an ideal climate to grow roses, because our summers are why too hot for them to be comfortable, but I am surprised how well the dahlias are doing so far in our summer heat. I guess that means I need to grow more of them next year ;-)! Seeing your gorgeous pictures, always inspires me to plant more. I love to grow dahlias and did for a couple of years. Until I figured out that I am a "best laid plans" gardener. I kept buying them at my favorite garden center, saying I would dig them up before winter, so I could use them again next season, but I never did. The downside of getting four seasons I guess. That "Jennifer Wedding" dahlia makes me want to try again. That one is really sticking out for me! Christine, so glad that you like my pictures! 'Jennifer's Wedding' is a really special color, I agree. Maybe it is worth it for you to plant dahlias again and grow them just as an annual, if you don't get to dig them out before your winter? I think the flowers are just too spectacular to miss out on them and most of the tubers aren't that expensive, unless you buy the brand new really hip varieties. Just a thought :-)! 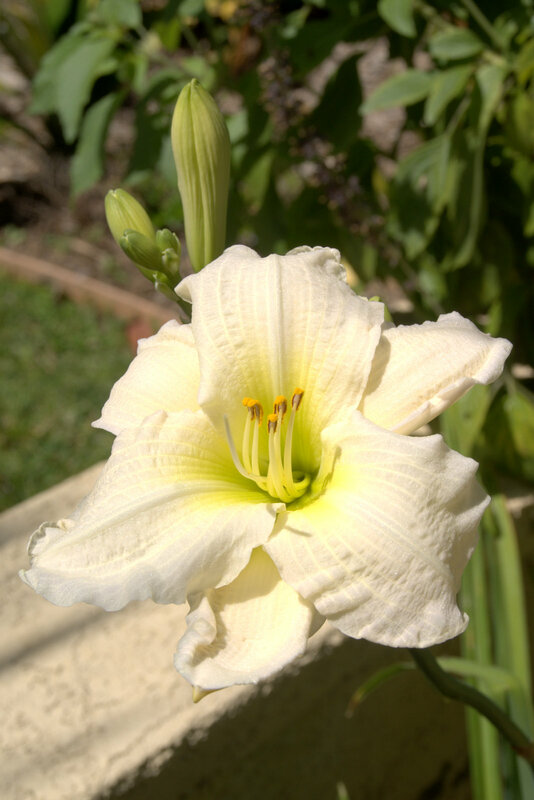 Christina, Thanks for sharing these lovely blooms. The last rose is beautiful. Sylvia D.
Sylvia, I love rosa 'Bewitched', too! It is pumping out a new flush of blooms right now despite the heat! I love Dahlias as well. I wish I had more room for them! I have a couple plants, but think I might remove some cottage rose perennials that have gone crazy in my front bed to make room for more next year. Your roses are always gorgeous! Thanks for sharing with SYC. Your garden and photography are beautiful. I'd love to walk thru your garden. What beautiful dahlias, roses and day lilies. Wonderful post. Coming over from Gardens Galore. Beautiful! I'm not too familiar with dahlias so I enjoyed seeing the ones from your garden. The "Bridezilla" name made me smile. Christina, what stunning dahlias. You seem to be having good luck with planting them in containers. All the varieties you have shown are gorgeous along with your roses! Thanks so much for sharing at Gardens Galore! your dahlias look great! Regarding your dahlia, that is not the variety it is supposed to be, I also made the experience that some plants don´t turn out to be the varieties they are supposed to be. I planted about 7 dahlia tubers this year and unfortunately about half of them turned out to be a totally different variety than indicated on the label. The same is true for my gladioli bulbs I planted this spring. To my shock many of the dahlias and also the gladioli are blooming in bright orange. Since I like my flower beds planted with pastel coloured flowers, I am not very happy about all the bright orange blooms in between my light pink roses. 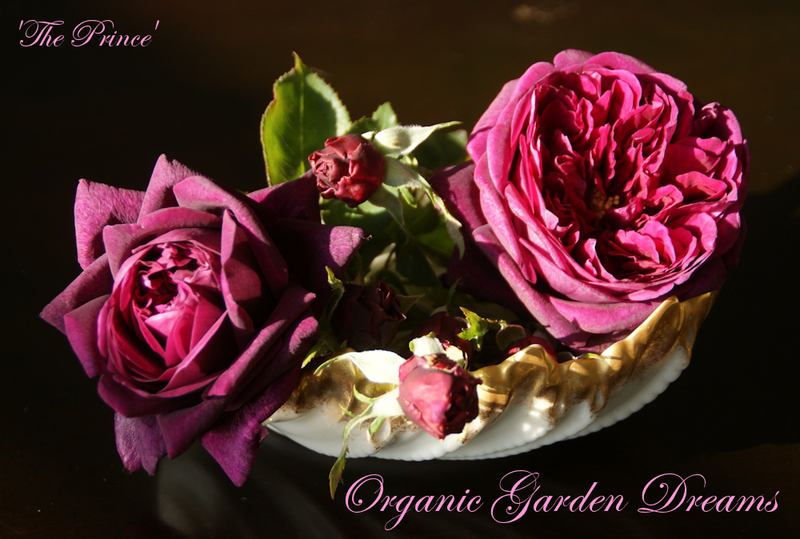 Regarding your rose 'Yolande d'Aragon', it looks so beautiful and your right the fragrance is lovely. I bought the rose last August and it had these lovely scented blooms you were talking about. However, it is not doing well at all at the moment. I planted it in a flower bed in the garden where the soil is very poor and the rose suffers. I think I might replant it to a better location in my garden. Seeing your beautiful pictures of the rose, I am sure it is worth it. Lisa, I can feel your pain regarding the mislabeled orange dahlias and gladiolus! That is really very annoying when you try to stick to a color scheme. Part of my dahlias came from big box stores and part of them I ordered at a dahlia farm (Swan Island Dahlias). All the ones from the dahlia farm were correctly labeled, did sprout and are growing very well. So I learned my lesson. Next I will buy from them again and forgo the big box store offerings! It is also nice to know that with my purchase I am supporting an American small family owned dahlia farm! Good luck with transplanting Yolande d'Aragon. She certainly is worth growing just for her special fragrance alone. Thanks for the advice, Christina! Might make sense to buy the tubers from some smaller business. Interestingly, non of the many tulip bulbs I bought at the same garden centres, were mislabeled. Thus, I expected the same for other bulbs and tubers. Christina, they're all beautiful, but my top three: Bridezilla, Café au Lait and Bewitched. 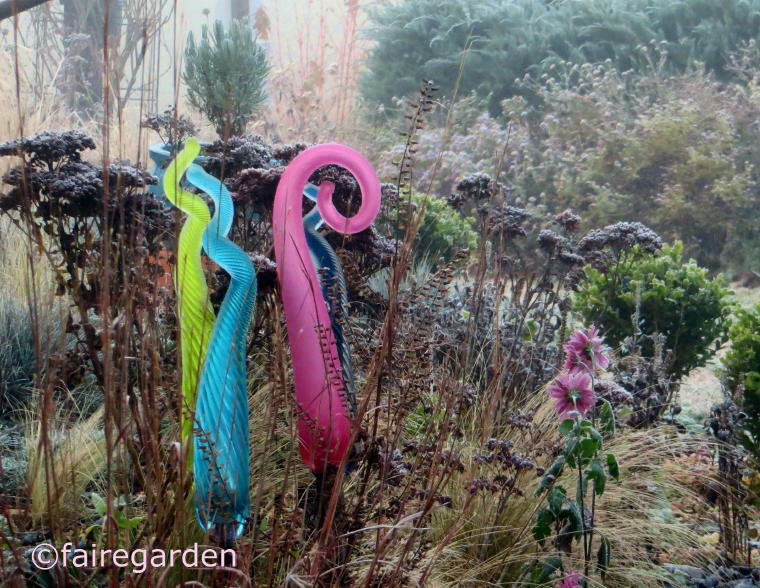 Your blog is so inspiring to those of us who aren't natural born gardeners!